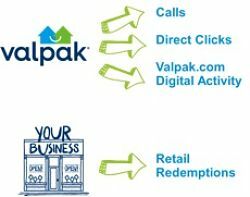 Great opportunity to buy an established Valpak franchise in Memphis. This Valpak franchise in Memphis, Tennessee covers the territory of Crittenden, Desoto, Marshall, Fayette, Hardeman, Lauderdale and Shelby Counties. The asking price includes the Franchise and Training fee of $15,000 which includes New Franchise Owner Training, VPOffice® Training, attendance to 1st Coupon U annual conference, New Franchise Owner Kit, Ongoing consultation with Sales Coach and miscellaneous first year training and support. In addition $25,000 of initial investment will be credited back in the form of plant bill credits after 12 consecutive months of on-time payments.This business currently mails 120,000 out of potential 510,000 prime house holds. showing a huge potential that can be achieved by the new buyer. 3rd party financing options available.